The 26th Annual Day Celebrations were held on 22nd Feb 2018 at the campus premises.The Chief Guest for the Annual Day is Mrs A.Jothimani, District Employment Deputy Director has presided over the function. Our college Correspondent Madam J.K.A. Kannammal and Executive trustee Mr J.K.A.Kumararajah have graced the occasion. Our college principal Dr.V.Balaji presented annual report. After the lamp lighting ceremony and the invocation song, the chief guest addressed the audience about the importance of job opportunities. This was followed by Prize distribution to the toppers in Academics and Cultural events. A variety of entertaining items were put up by enthusiastic students on the day. 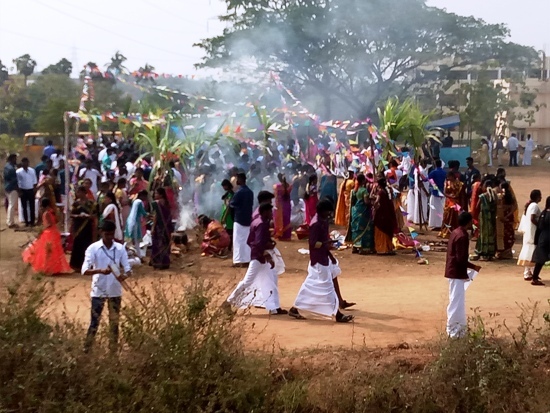 Salem Sowdeswari College celebrated pongal day on its college premises. The staff and the students, dressed in traditional wear,participated in the celebration with great enthusiasm. 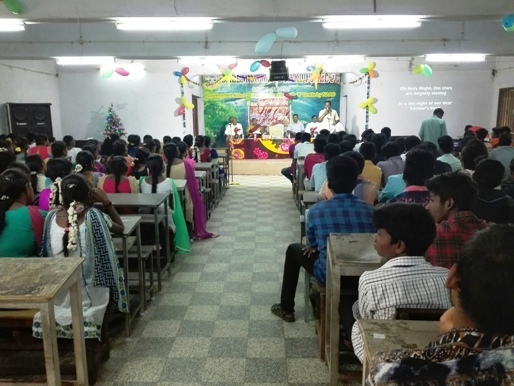 Various cultural programmes competition was conducted for students as well as staffs. The students also prepared pongal and distributed to all of them who attended the celebration.